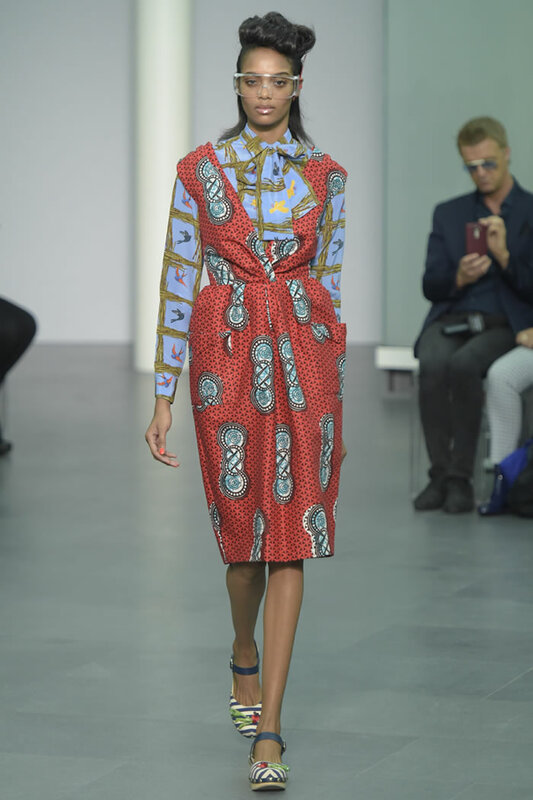 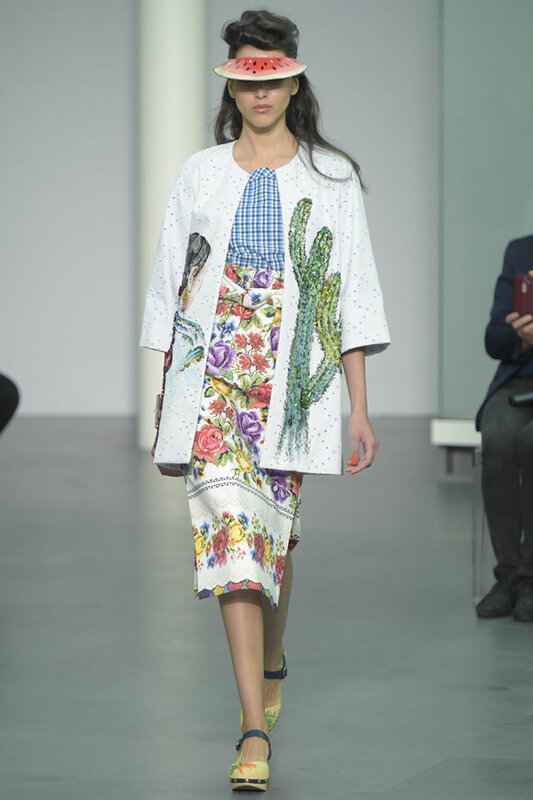 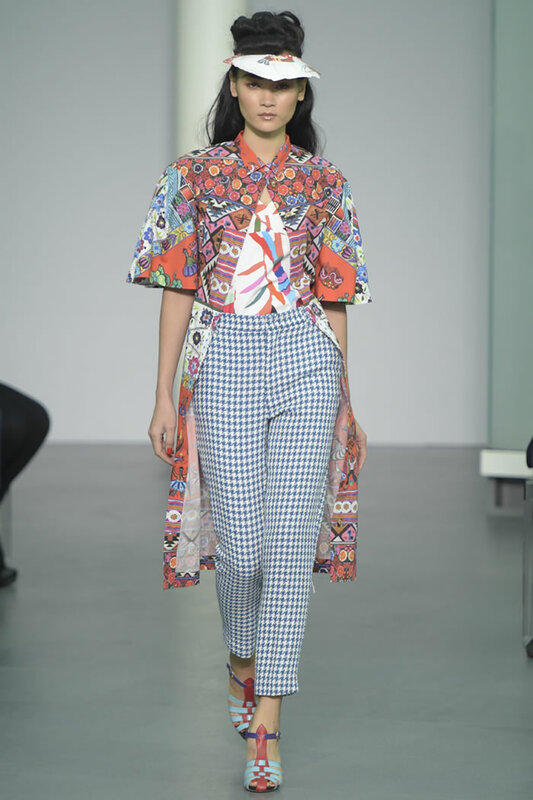 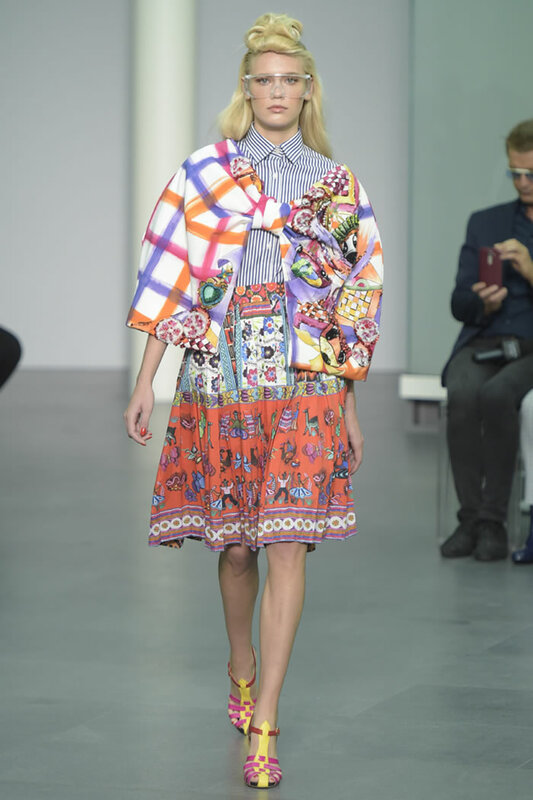 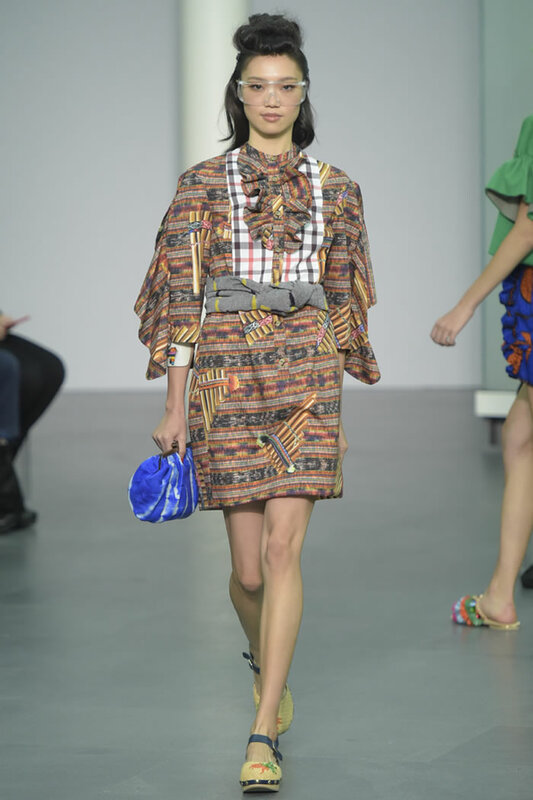 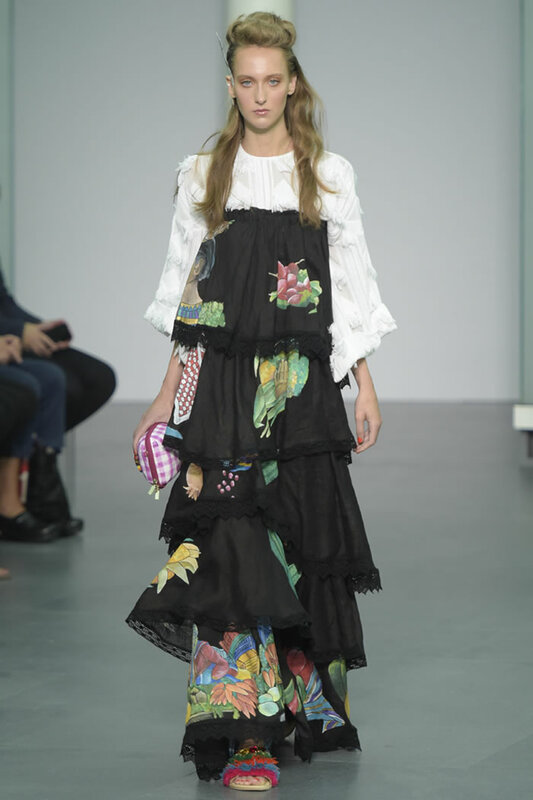 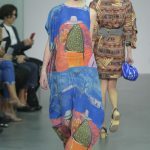 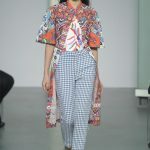 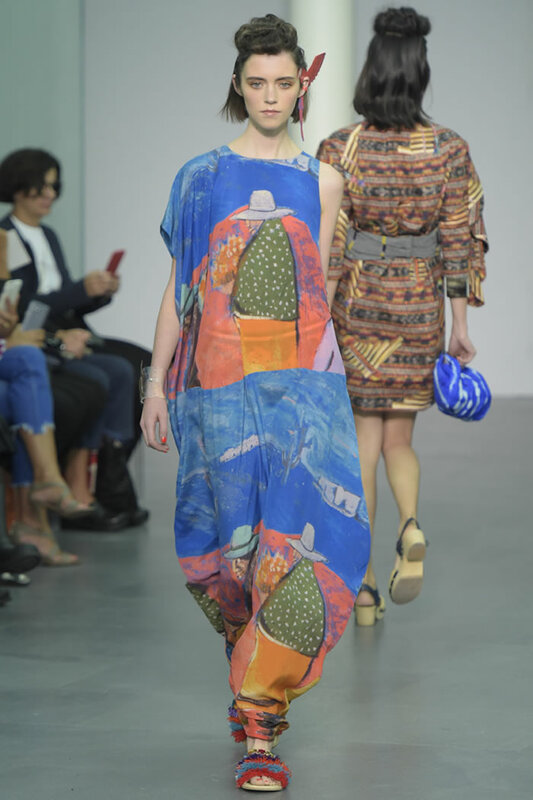 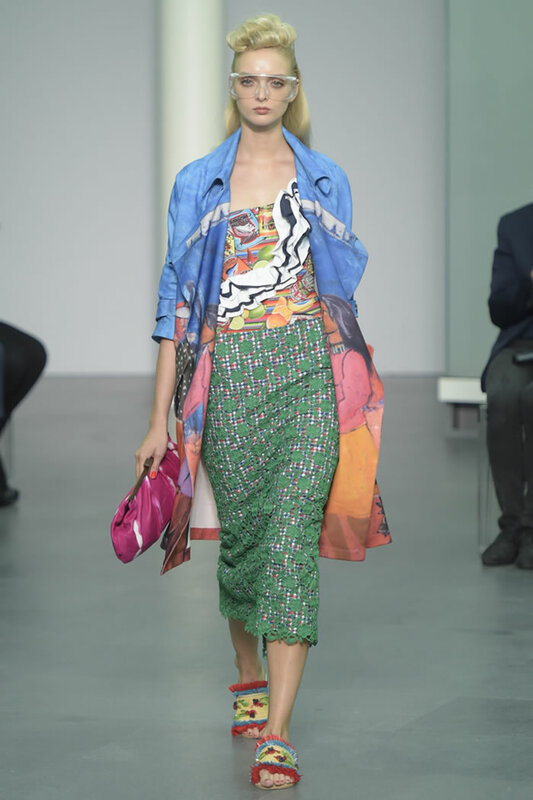 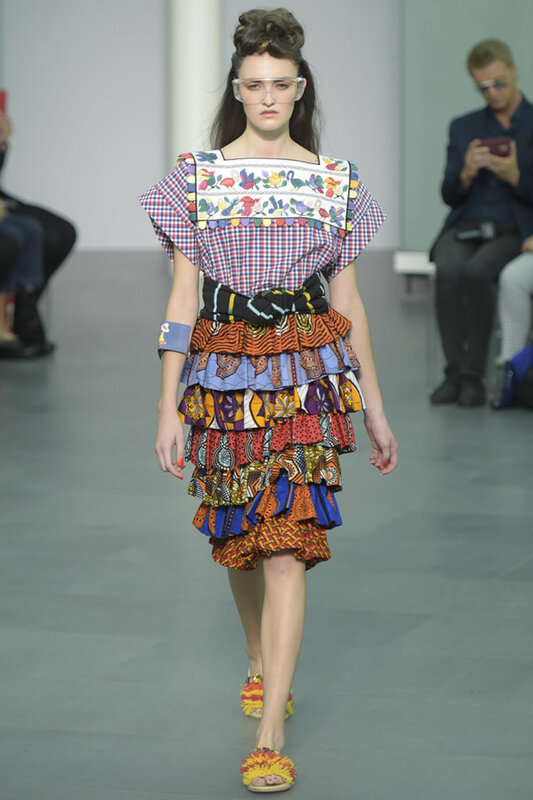 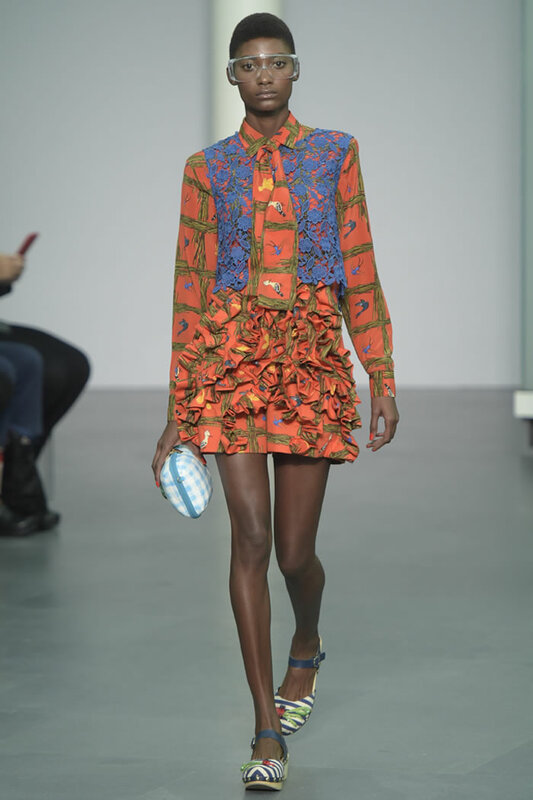 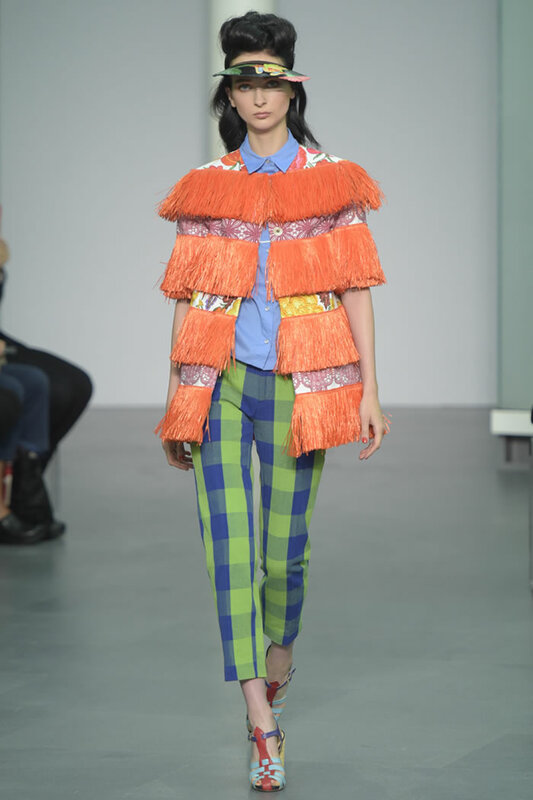 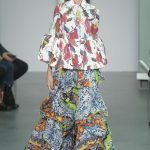 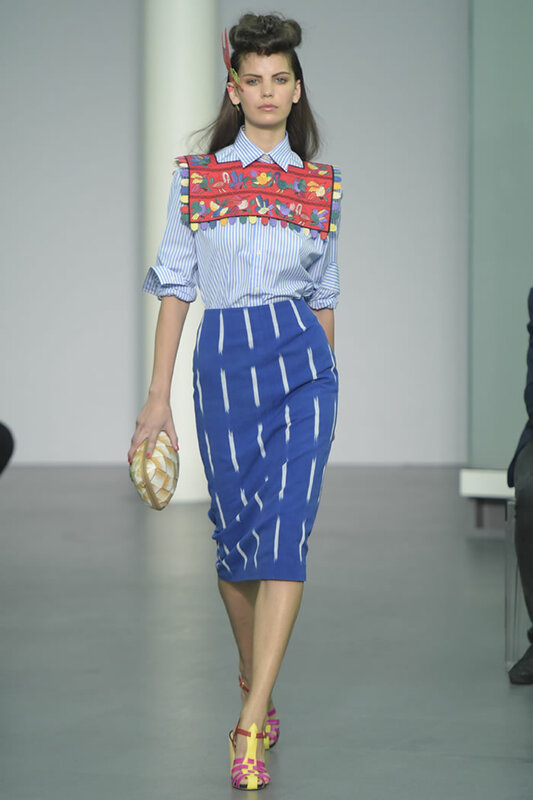 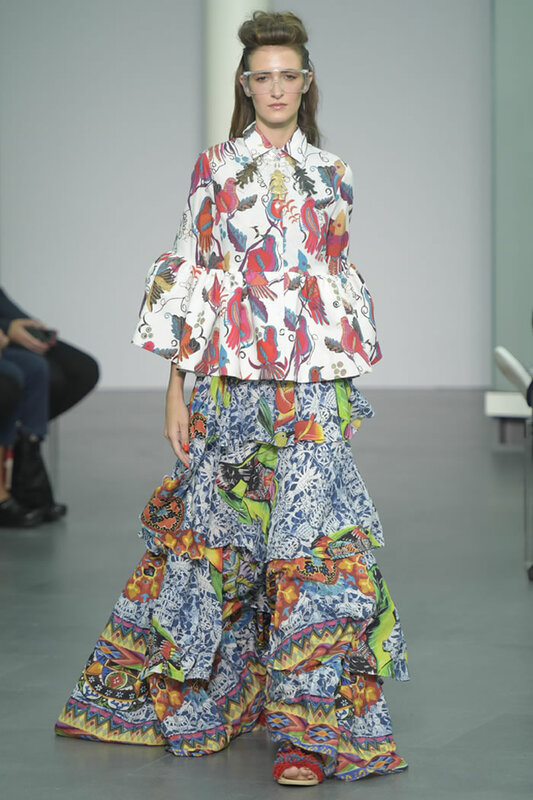 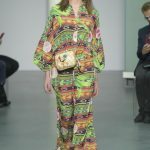 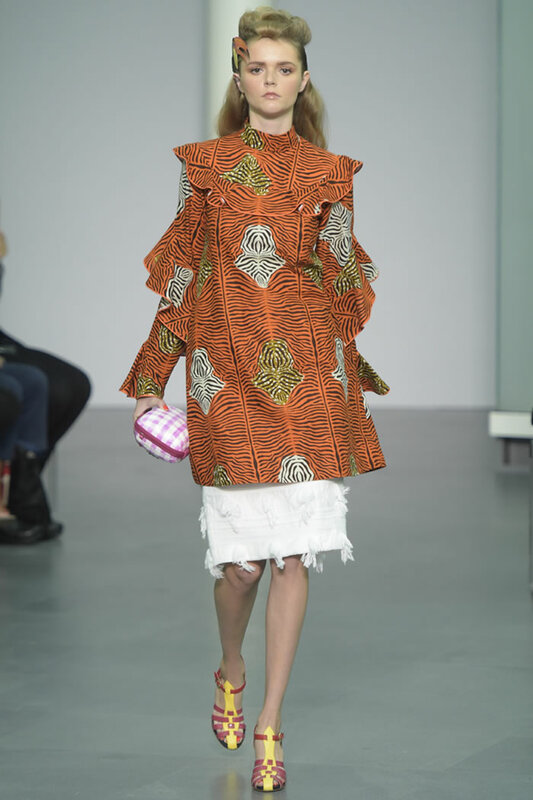 Stella Jean titled her spring collection “En Route,” focusing on prints and patterns associated with Italian migrants who moved to South America, North America, Africa and Europe. 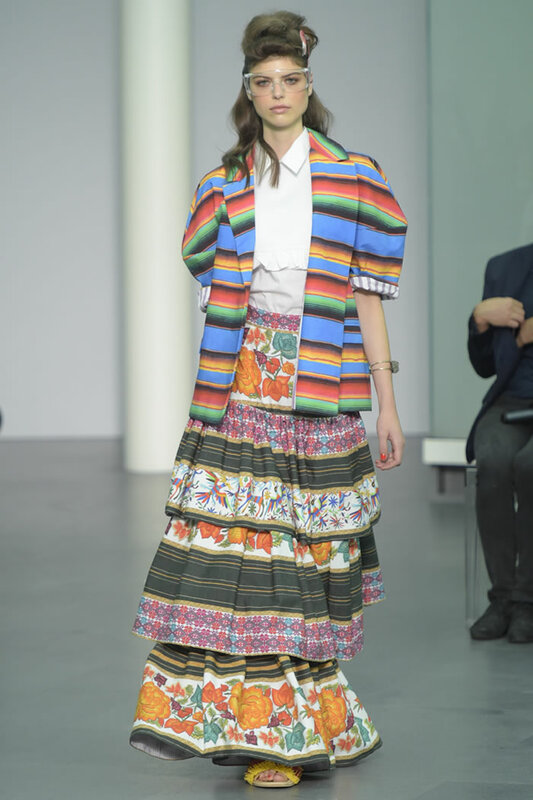 Jean needs to ask herself where she’s going with the mutliculti pastiche that’s become her thing. 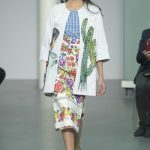 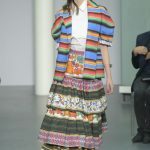 Festooning items with exotic trims, such as multicolored raffia, pompoms and cactus prints (South America proved the most obvious influence) makes for festive, fun fashion, but a salad of regional references compiled on vintage silhouettes won’t hold an audience – or business – forever. 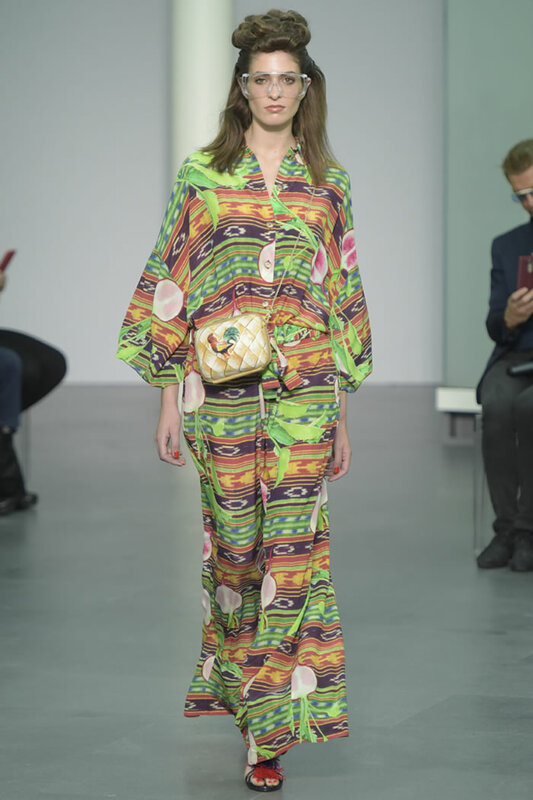 It says something when the finale of adorable, retro swimwear felt like the most wearable portion of the lineup.